Halo 5 releases on October 27, and we’ve had our paws on the solo campaign for the last few days and can finally bring you some notes on how its shaping up. Check out our sneak peak late-campaign gameplay, now available here! 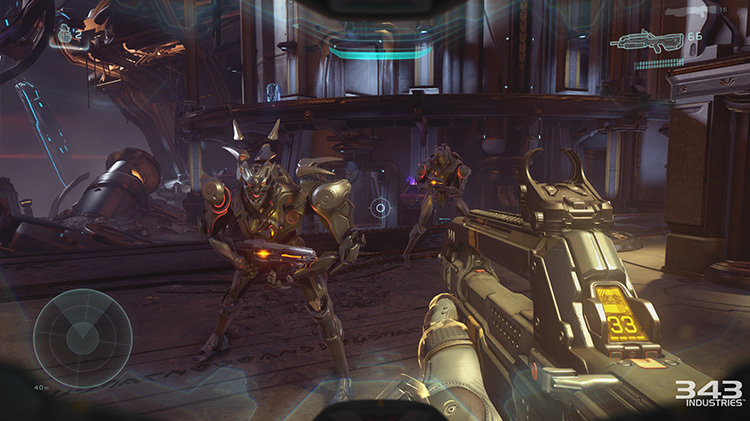 Gameplay now includes a variety of manoeuvres not before seen in Halo, sort of rocketing Halo into the movement territory set by games like Titanfall and followed on by titles like Call of Duty: Advanced Warfare. The good news is that it feels pretty darned awesome. I can happily state that I finally actually feel like those awesome Spartans from the videos rather than just ogling over the cool cutscenes and then resorting back to jumping up and down firing my gun. Now its a mixture of sprint, side-dashes, ledge climbing and dash-melee attacks to make you feel like a badass. The pace has definitely been picked up, and it feels like its really re-energised the formula. The games looks beautiful and runs at a silky smooth frame rate, but for those of you counting pixels, my trained eye is detecting what I believe to be a resolution of 900p or similar, and not the crisp 1080p that some may have expected. I’m sure the guys with all the tech gizmos will have results up soon with the exact numbers. As I said, the game still looks pretty as all hell, but there is a lack of crispness as a result, mostly visible in the terrain and at long distances. The campaign has been going well and is obviously (if you didn’t know) designed to work well as 4 player co-op and has you playing two different squads of the hunters and the hunted. 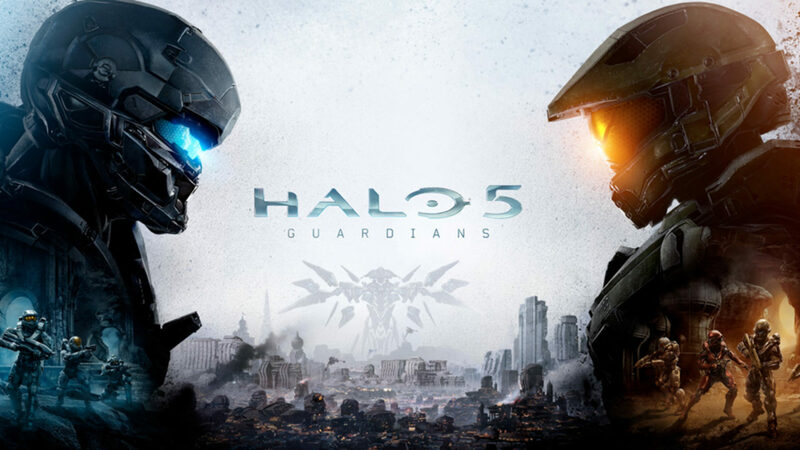 It’s proven to be good fun so far and a definite follow on feel similar of that in Halo 4, but make no mistake, this is a Halo game, and Halo games are about shooty, shooty, bang, bang… and that’s what you are going to be doing almost all of the time. It’s got tons of great cutscenes though, the kind from back in the day where they almost feel like a reward for the work you’ve just put in. It’s about time that a Halo shooter catches up to the great animated scenes we got in Halo Wars. We don’t have access to any of the multiplayer yet, and we look forward to bringing you some thoughts on that as well which should happen next week. For now, Halo 5 is oozing that blockbuster quality you’d want from a big holiday release game and is looking like a step in the right direction for the series and for fans, and we hope to bring you our full review soon.